Player Exclusives were all over the court last night as the Heat were able to squeak out the 88-86 victory over Dallas in game 3 of the 2011 NBA Finals. 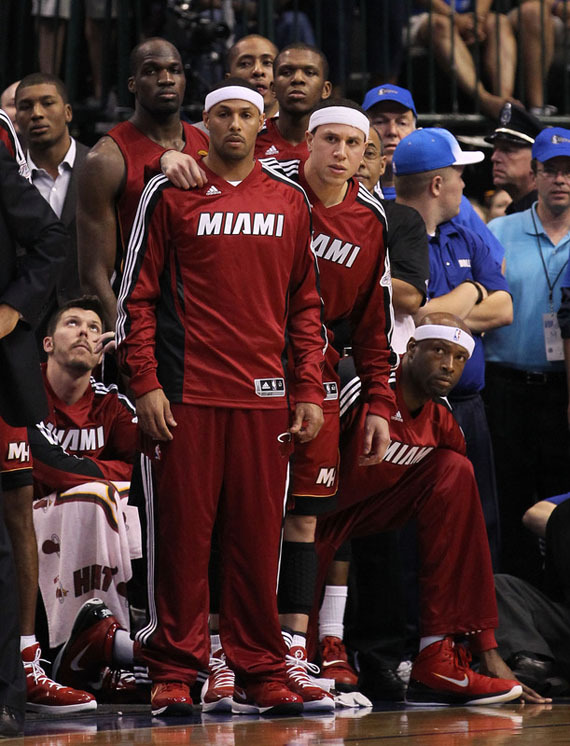 For many Heat fans, last night brought back the feel of that '06 NBA title. 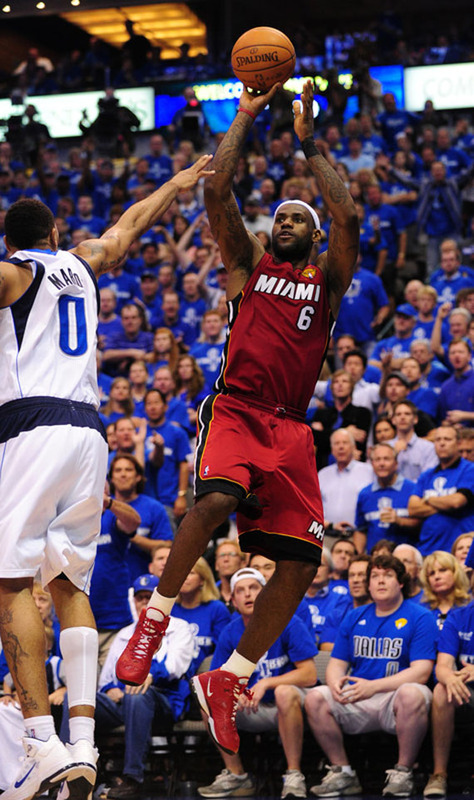 Playing in Dallas, decked in all-red once again and led by a determined Dwyane Wade, it was no surprise to see last night's game end up just as game 6 of the 2006 NBA Finals did. Looking to bounce back from a game 2 meltdown, the Heat looked to what's worked for them all season, and that's driving the ball to the basket constantly and playing some tough defense. Dwyane Wade led the Heat to victory in his recently introduced player exclusive 'Finals' colorway of the Air Jordan Fly Wade, ending up with 29 points, 11 rebounds and 3 assists. 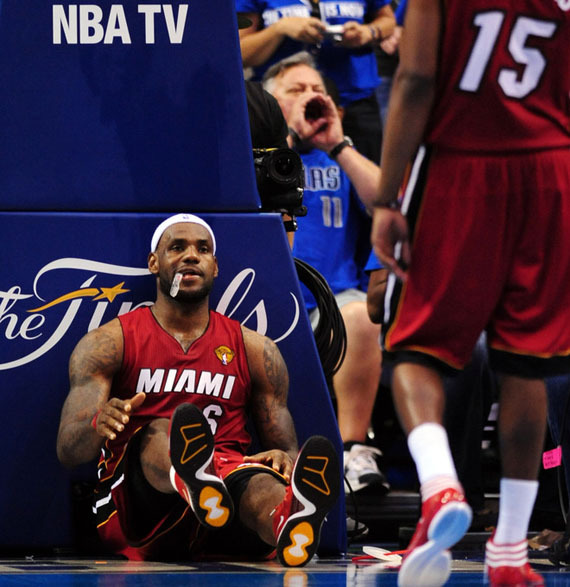 DWade wasn't the only one decked in all red, LeBron also had a huge night in his Finals edition if the LeBron 8 P.S. 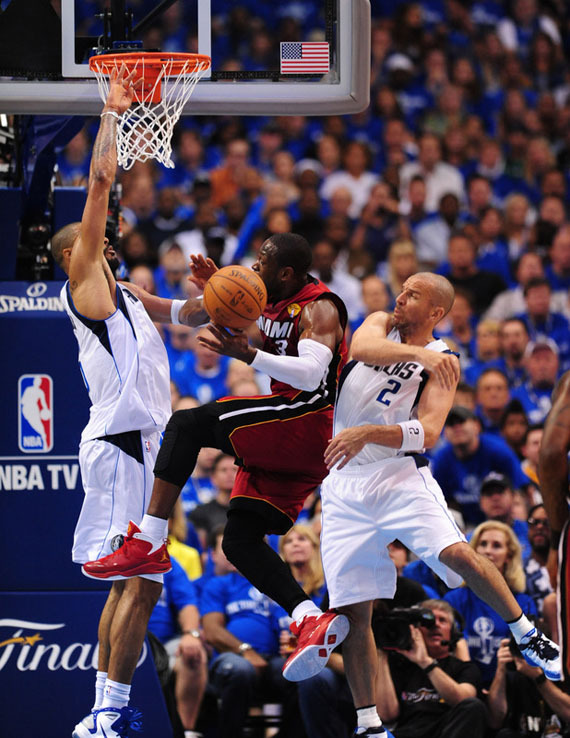 James helped lead the Heat with 17 points and 9 assists, who overcame 34 points from Dirk Nowitzki for the 88-86 victory. With the entire Heat team rocking the 'All-Red Everything' look, you know there was a ton of interesting footwear to be seen on court last night. From Mario Chalmers in the adidas Crazy Light to Juwan Howard and Mike Bibby breaking out the Air Jordan Fly Wade, last night had it all. 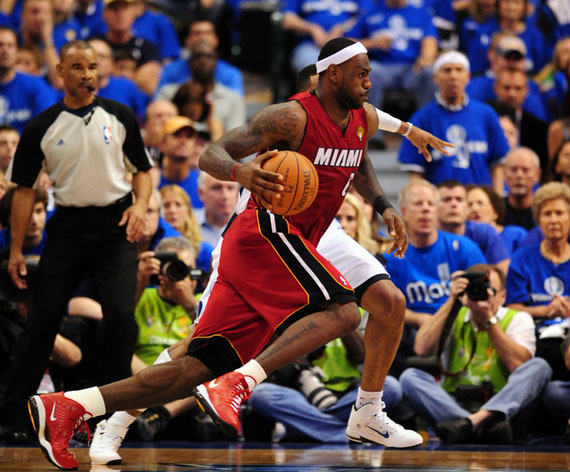 Continue below for a look at today's entire SC NBA Finals Sneaker Watch. 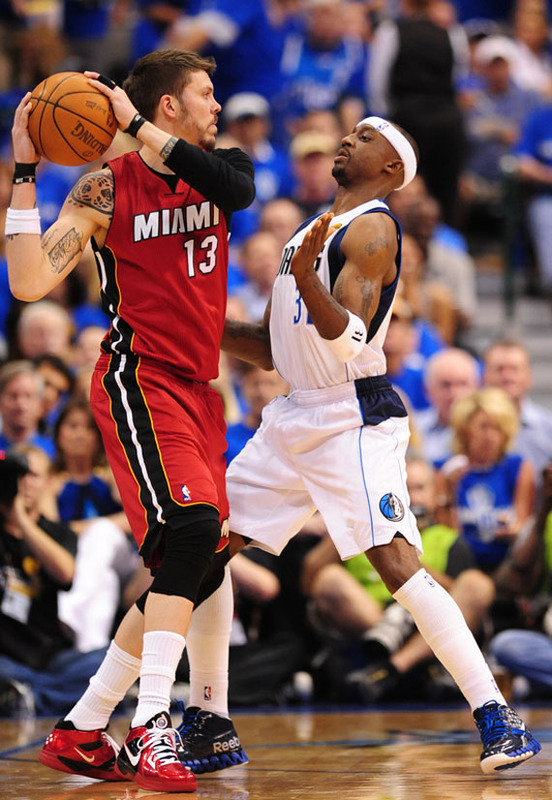 Mike Miller broke out an impressive PE colorway of the Nike Zoom KD III, while Jason Terry continued to wear the Reebok ZigSlash. 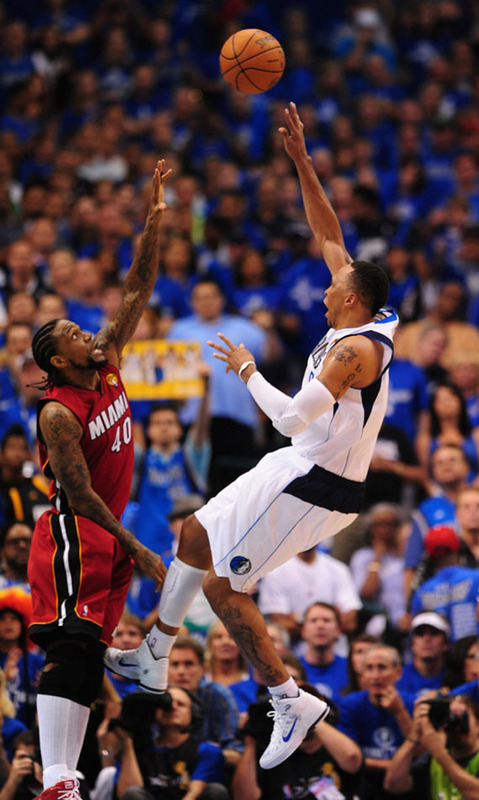 Shawn Marion once again wore a PE colorway of the Nike Air Max Fly By. LeBron James in the 'Finals' Nike LeBron 8 PS. Dwyane Wade goes up in a PE colorway of the Air Jordan Fly Wade. Another look at the King in the 'Finals' Nike LeBron 8 PS. 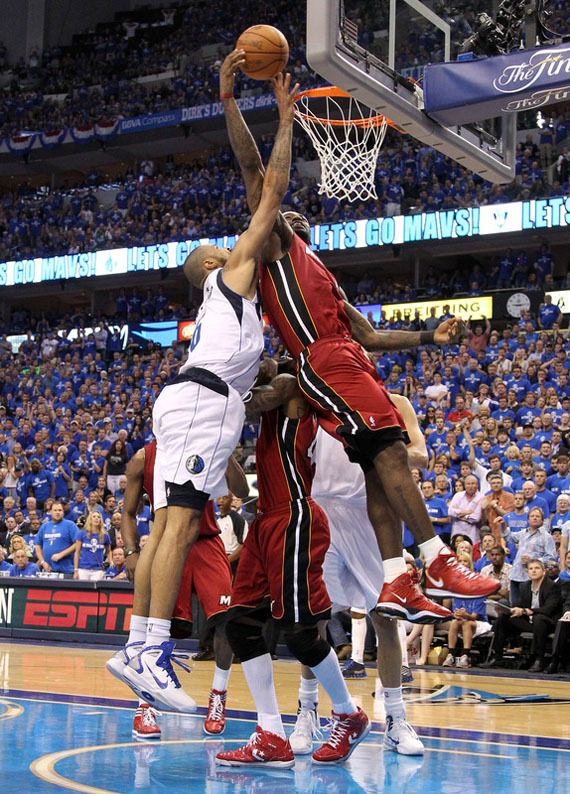 LeBron James drives in the 'Finals' Nike LeBron 8 PS. 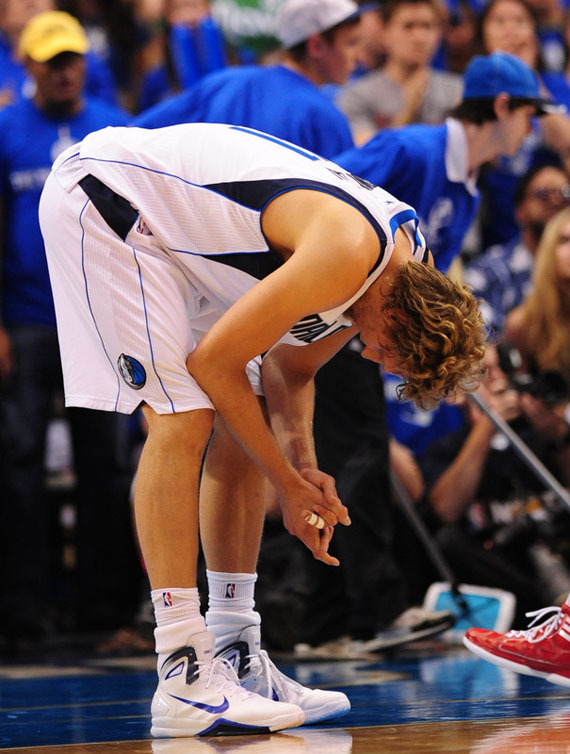 Dirk Nowitzki in the Nike Hyperdunk 2010. Chris Bosh also had something new on his feet, wearing a PE colorway of the Nike Air Max Hyperdunk 2010. 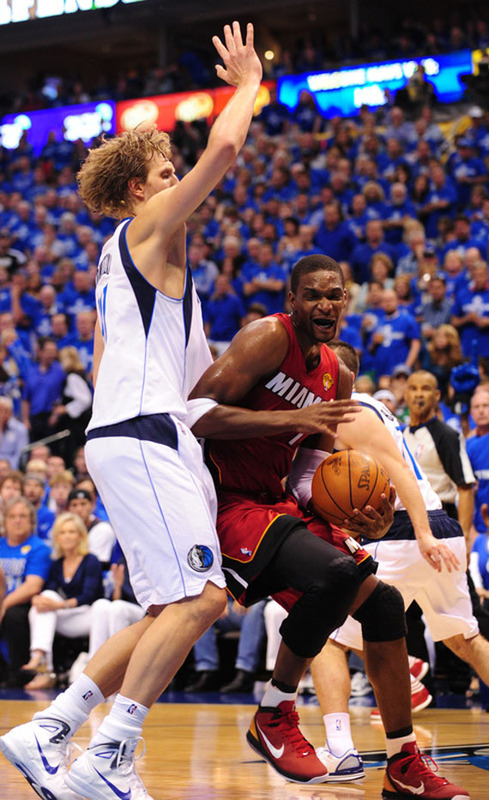 Another look at Dirk in the Hyperdunk 2010, with Udonis Haslem covering in the Converse Sicks. 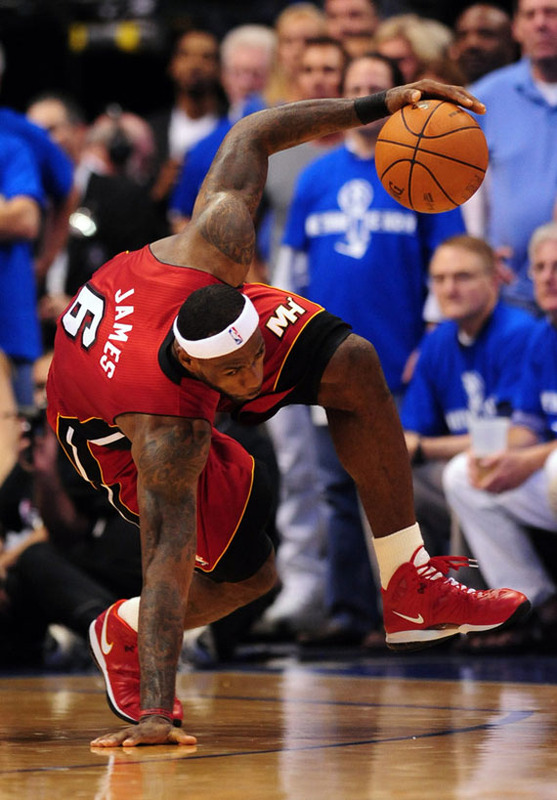 LeBron James gets the basket in the 'Finals' Nike LeBron 8 PS. Mario Chalmers in the adidas Crazy Light. 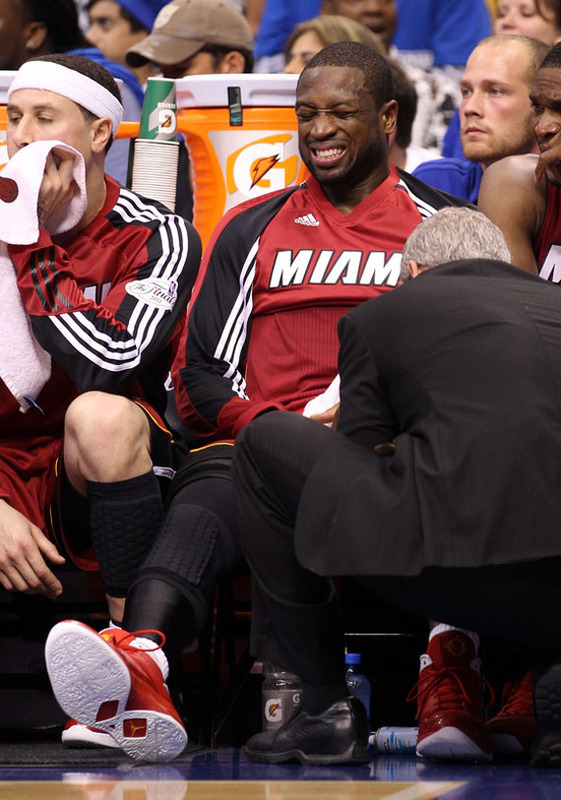 Dwyane Wade gets attended to in the Air Jordan Fly Wade. Great shot of LeBron in the 'Finals' Nike LeBron 8 PS. 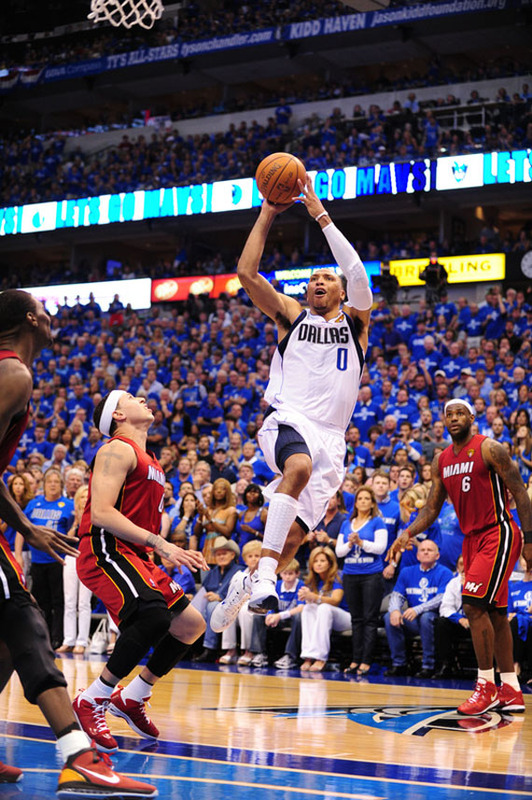 Another look at Shawn Marion in the Nike Air Max Fly By. 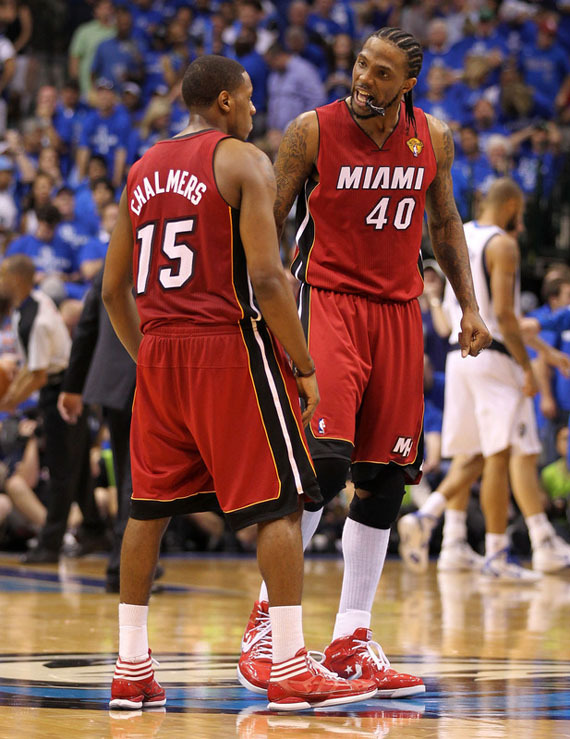 Another look at Chalmers and Haslem in the adidas Crazy Light and Converse Sicks respectively. 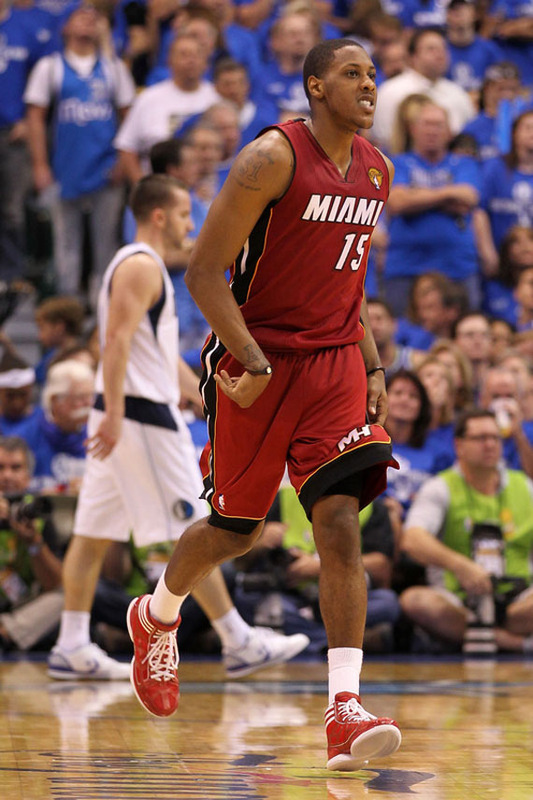 Close look at the footwear worn by the Heat's supporting cast, including Eddie House in the Zoom Go Low PE, Mike Bibby in the Air Jordan Fly Wade PE, James Jones in the Nike Zoom Soldier IV PE and others. 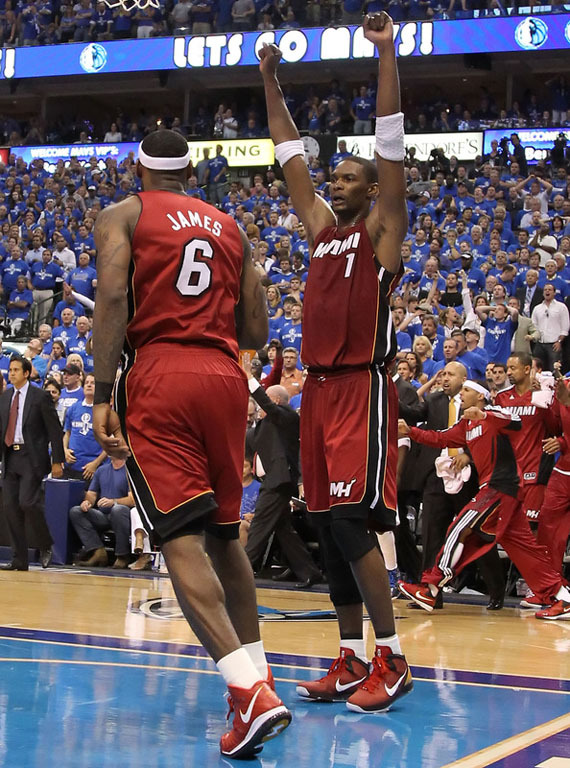 LeBron James and Chris Bosh show some emotion after earning the game 3 victory. One last look at LeBron in the 'Finals' Nike LeBron 8 PS.